Jan. 24 (NBD) -- The sci-tech innovation board at the Shanghai Stock Exchange is a stone's throw from reality. Two documents concerning the overall implementation scheme as well as suggestions on the implementation of the setup of the sci-tech innovation board and piloting of registration system were deliberated and approved Wednesday at the sixth meeting of China's central committee for deepening overall reform presided over by Chinese President Xi Jinping. The high level of the meeting indicates the importance of the new board in the deepening reform of the capital market, an industry insider noted. This is echoed by Fu Lichun, financial academic member of the Chinese Association of Market Development and research director at Northeast Securities. When reached by the 21st Century Business Herald, Fu commented the overall implementation scheme on the setup of the sci-tech innovation board was the first among a slew of important documents to be approved at the meeting. Process pertinent to the board will be dramatically speeded up. The exposure draft of the system of the sci-tech innovation board is forecast to be soon released, and will cover details like whether to support red chip and variable interest entity structures, how to value and fix prices, and how to design the trading system. A source with a securities company said to China Securities Journal the board stands a great chance of being launched in the first half of this year. Around 150 enterprises will get listed on the sci-tech innovation board this year with total funds raised to reach 50-100 billion yuan (7.4-14.7 billion U.S. dollars), CITIC Securities previously predicted. Reports said the Shanghai Stock Exchange will give priority to five industries - new-generation information technologies such as artificial intelligence and cloud computing, high-end equipment manufacturing and new materials like marine engineering and robots, new energy and energy conservation like new-energy vehicles, biomedicine, and technical services. But companies recommended by securities companies should satisfy the following criteria: first, possessing breakthrough technologies with proprietary intellectual property rights; second, receiving revenue mainly from those technologies; third, owning a sophisticated R&D system and outstanding teams; and fourth, having mature business models. Twelve enterprises are likely to be the first companies to land on the sci-tech innovation board. Among them include YITU Technology, a pioneer of artificial intelligence research and innovation, DeepBlue Technology (Shanghai), a fast-growing leading company in the artificial intelligence industry, and UCloud, a leading cloud computing service platform in China. The setup of the sci-tech innovation board will trigger off significant spillover effects, according to Yan Hong, vice president and professor of finance at Shanghai Advanced Institute of Finance. The board will pilot the registration system, which will mark a significant improvement of the marketization process of China's financial market. 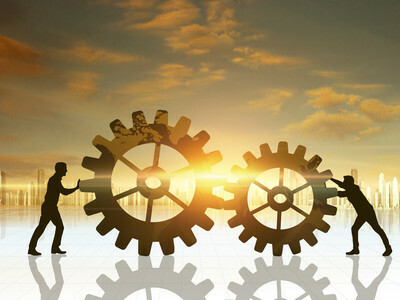 Meanwhile, it will draw a number of professional financial service institutions like securities companies, accounting firms and law firms to Shanghai, helping the metropolitan city create a sophisticated financial service ecosystem and build itself an international financial center and also a science and technology center.